Four prominent BJP leaders were Tuesday named governors of Rajasthan, Karnataka, Maharashtra and Goa on a day Kerala Governor Sheila Dikshit succumbed to pressure and put in her papers.While former Uttar Pradesh chief minister Kalyan Singh was named governor of Rajasthan, Gujarat assembly speaker Vajubhai Radabhai Vala took charge of Karnataka and Mridula Sinha, a leading writer, moved to Goa.C. Vidyasagar Rao from Telangana will take charge in election-bound Maharashtra.Kalyan Singh succeeds Margaret Alva whose tenure ended Aug 5.Vala took the place of H.R. Bharadwaj, who retired in June, while B.V. Wanchoo and K. Sankaranarayanan quit as governors of Goa and Maharashtra respectively. The 82-year-old Kalyan Singh is a veteran Bharatiya Janata Party leader who led the Uttar Pradesh government when the Babri Masjid was razed in 1992.A committed activist of the Rashtriya Swayamsevak Sangh (RSS), Kalyan Singh parted ways with the BJP following differences with former prime minister Atal Bihari Vajpayee.He returned to the party just before the 2014 Lok Sabha polls.Vala, 76, is considered close to Prime Minister Narendra Modi. He began his political career with the erstwhile Jana Sangh. At one time, he was a contender for the post of Gujarat chief minister. Mridula Sinha is a well known writer in Hindi, and is a former national president of the BJP's Mahila Morcha. She is also a former chairperson of the National Commission for Women.Hailing from Karimnagar district of Telangana, Vidyasagar Rao served as union minister of state for home in the Vajpayee government.The 73-year-old was also the BJP president in united Andhra Pradesh and was elected to the Lok Sabha twice from Karimnagar. He was defeated in the 2014 election.Meanwhile, Sheila Dikshit, who resigned as Kerala governor, refused to say anything on what led her to the decision. "I did what my heart was saying. 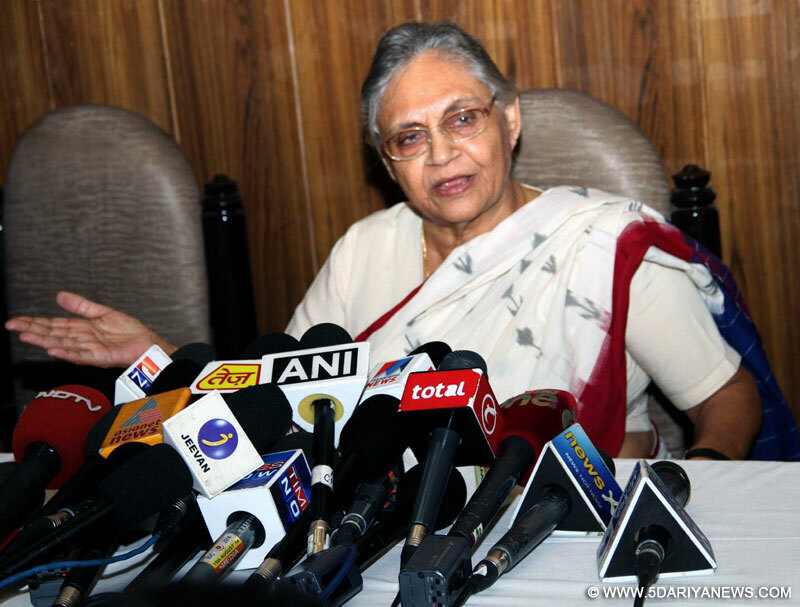 I will not say anything more at this point," the former Delhi chief minister told the media here.Asked to comment on the manner in which UPA-appointed governors were treated by the BJP-led government, Dikshit said: "I will talk to you in hindsight after my resignation is accepted. "Maharashtra Governor K. Sankaranarayanan resigned Monday.Since the Narendra Modi government took charge May 26, eight governors have resigned -- B.L. Joshi (Uttar Pradesh), Shekhar Dutt (Chhattisgarh), Ashwani Kumar (Nagaland), M.K. Narayanan (West Bengal), B.V. Wanchoo (Goa), Vakkom B. Purushothaman (Mizoram), K. Sankaranarayanan (Maharashtra) and now Dikshit.Kamla Beniwal was first shunted out from Gujarat to Mizoram and then sacked Aug 6 for misuse of her position as governor.Rajasthan Governor Margaret Alva and Karnataka Governor H.R. Bharadwaj managed to complete their tenures.